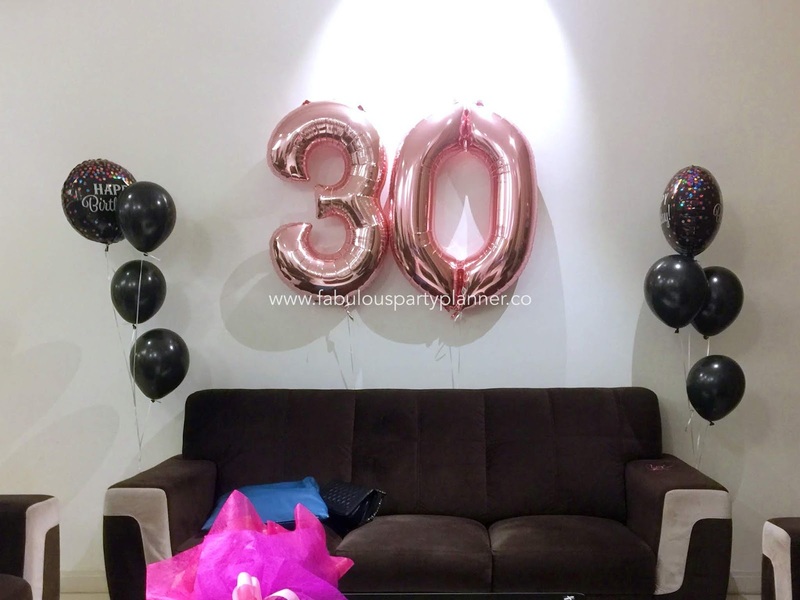 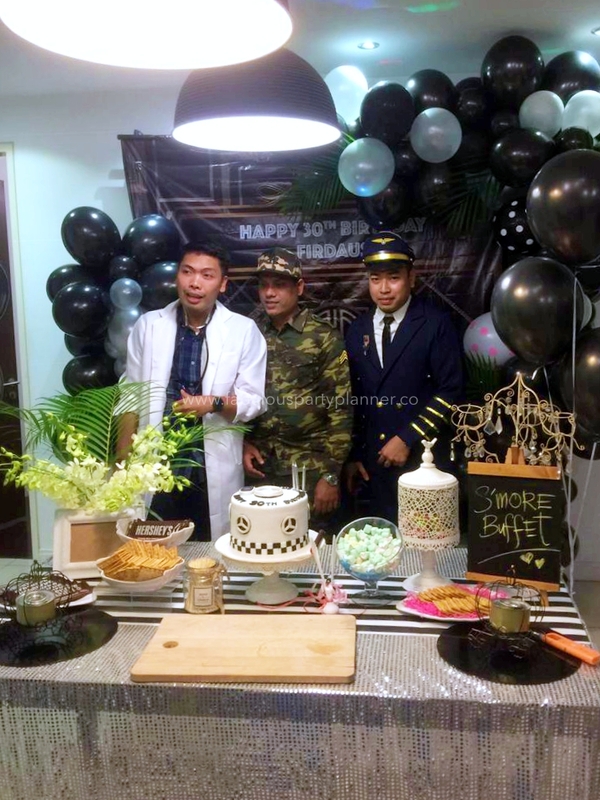 It was a surprise party requested by a beautiful and devoted wife for her husband's 30th Birthday. 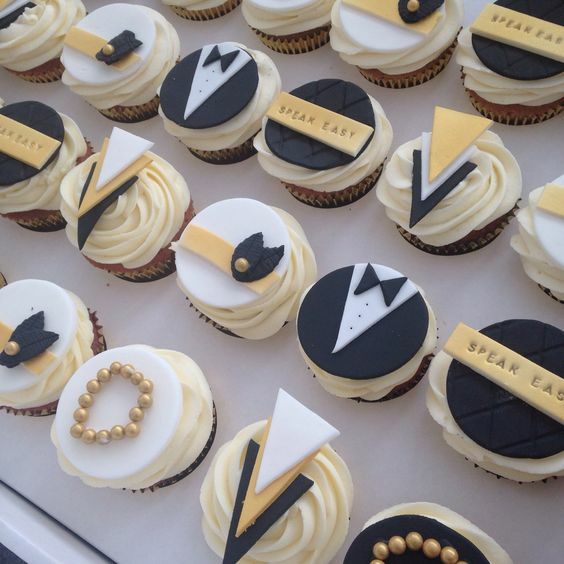 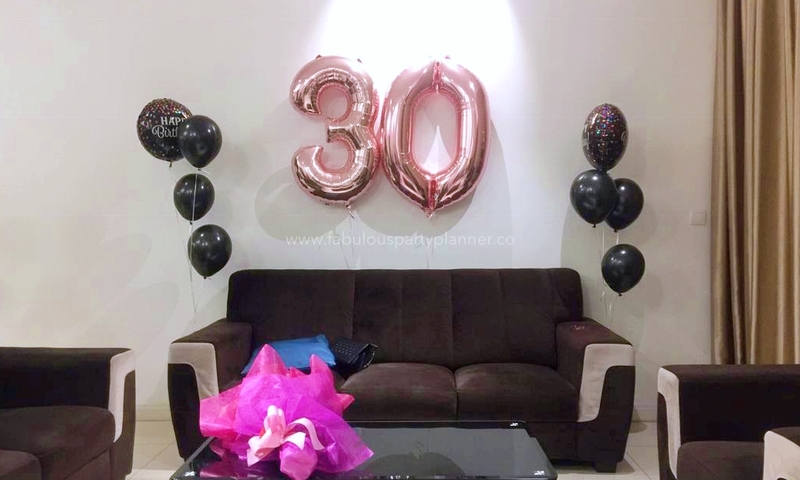 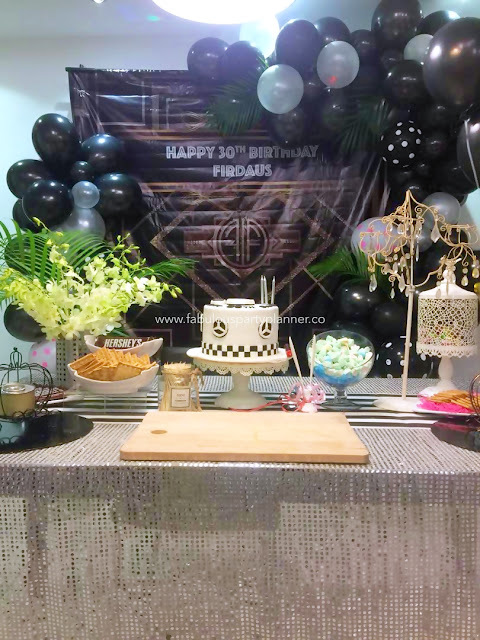 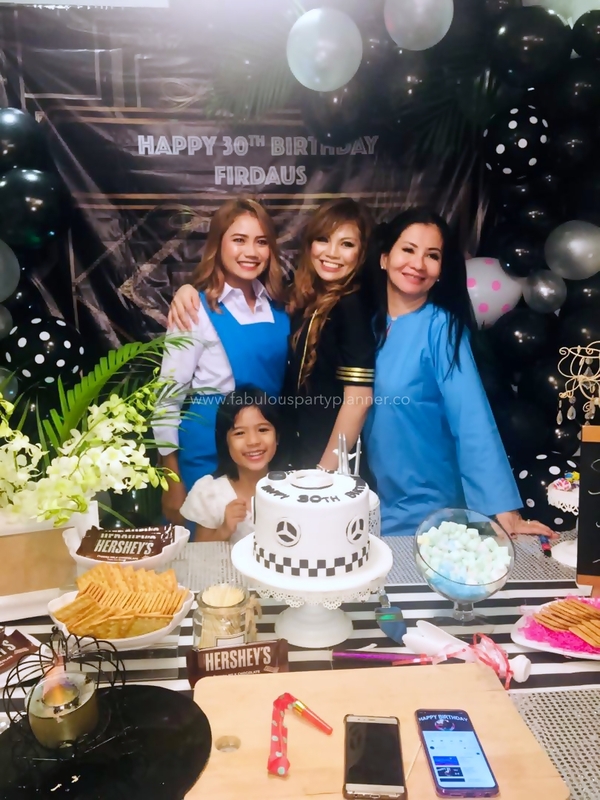 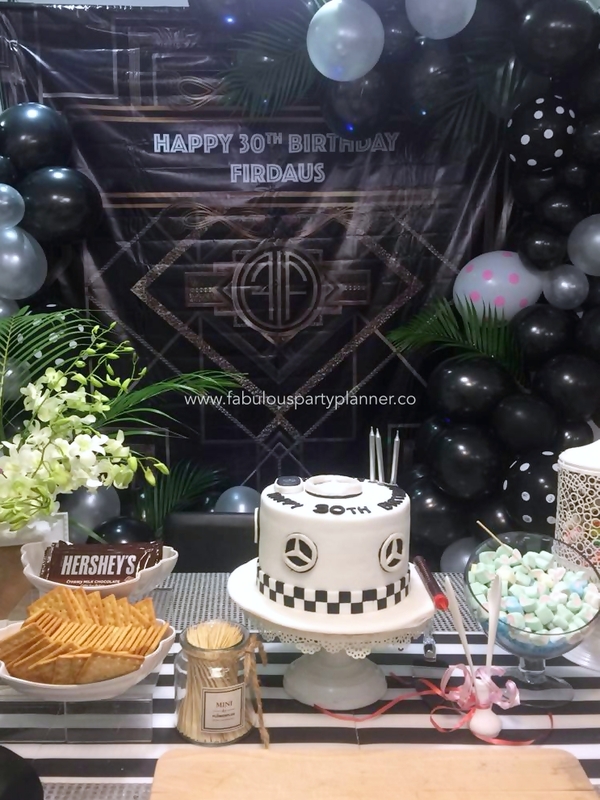 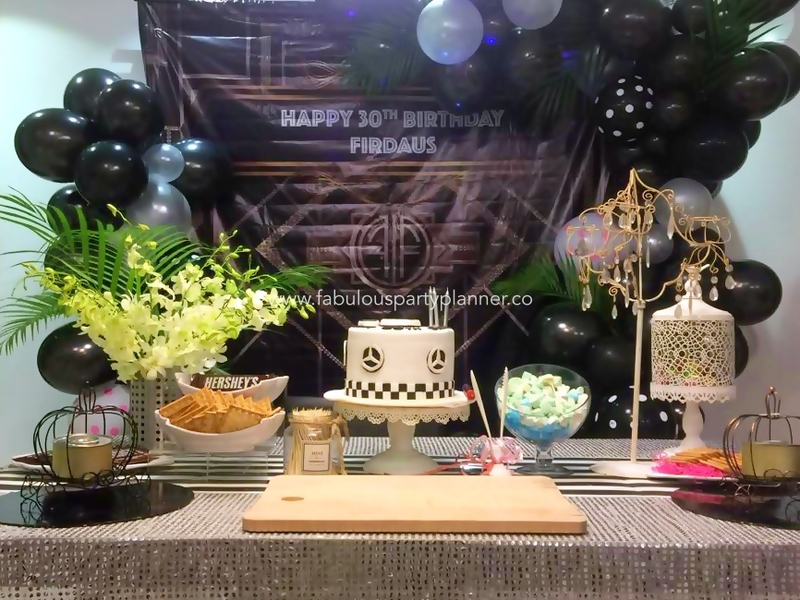 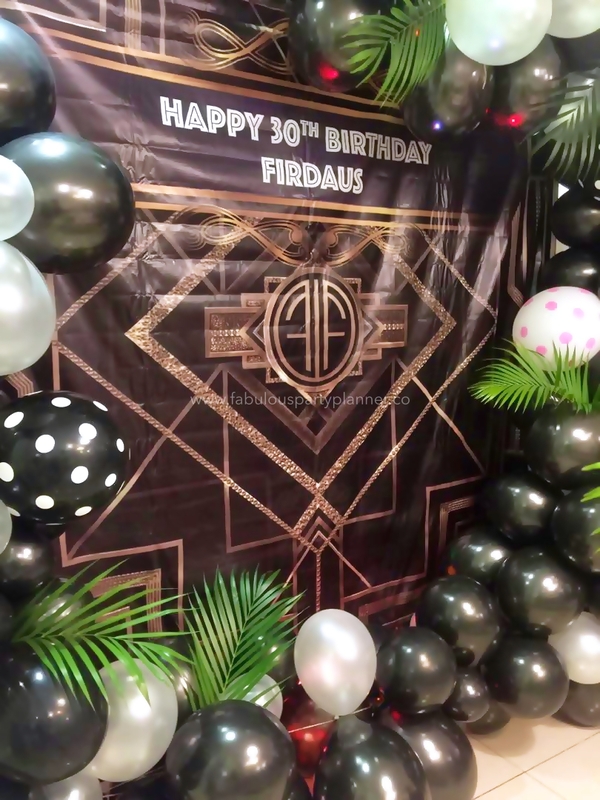 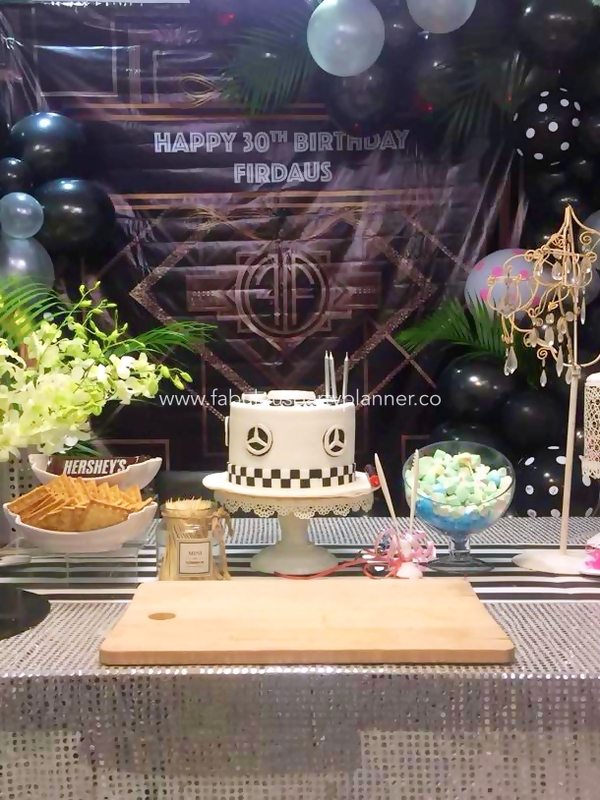 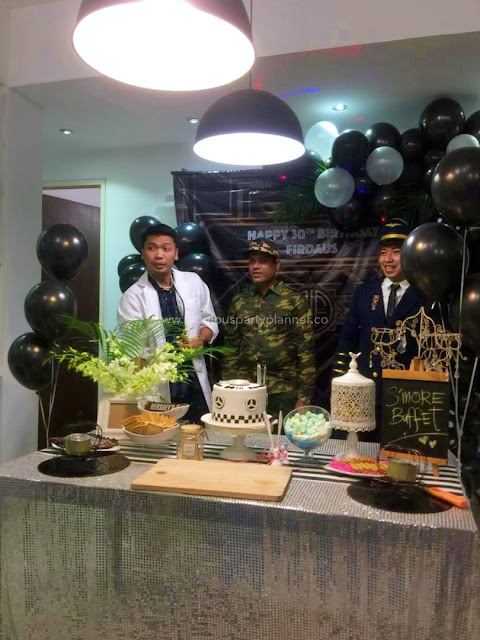 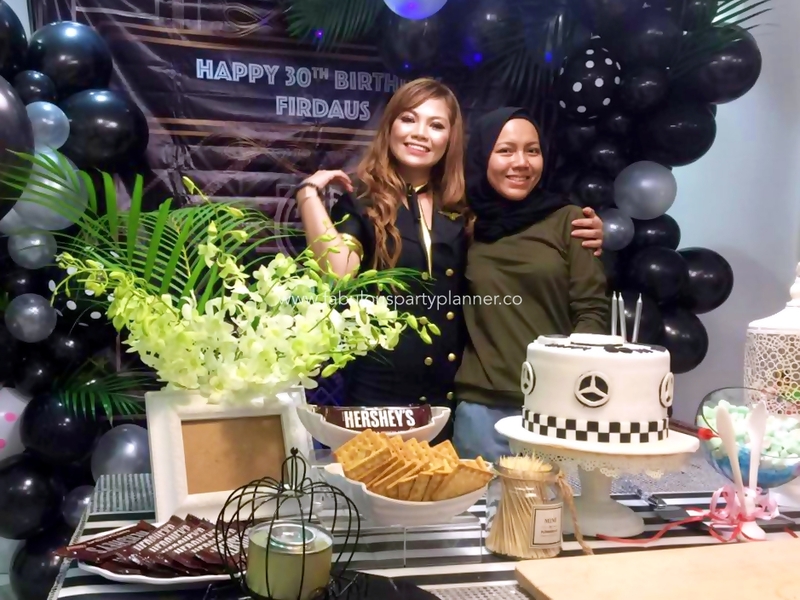 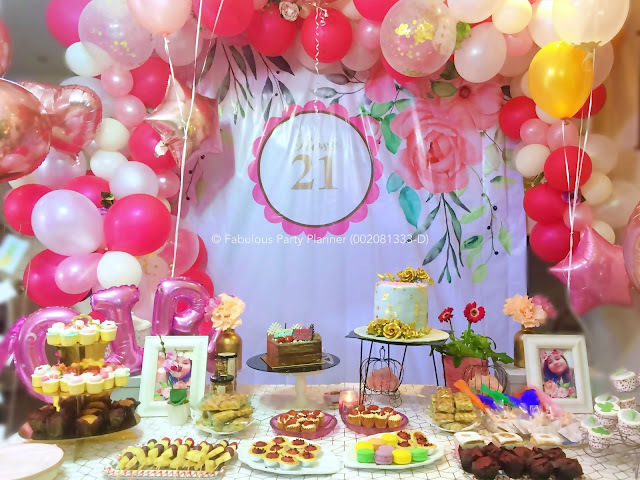 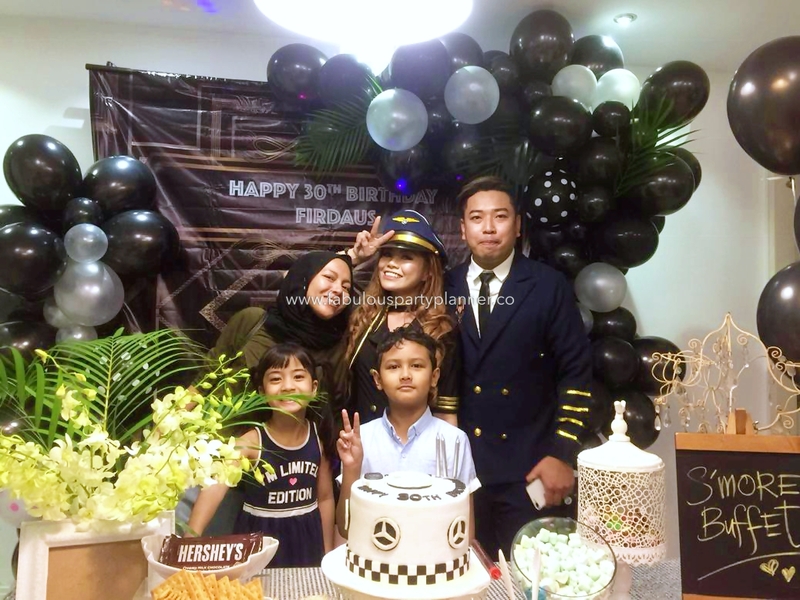 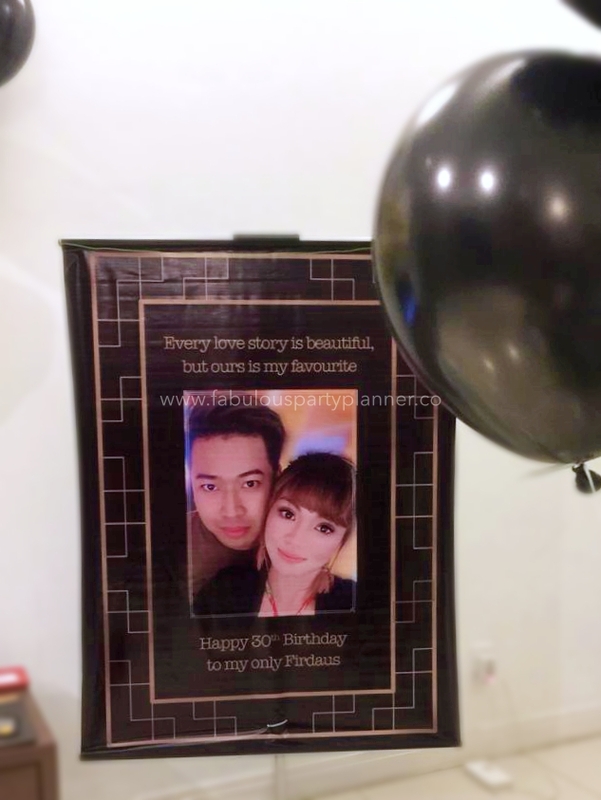 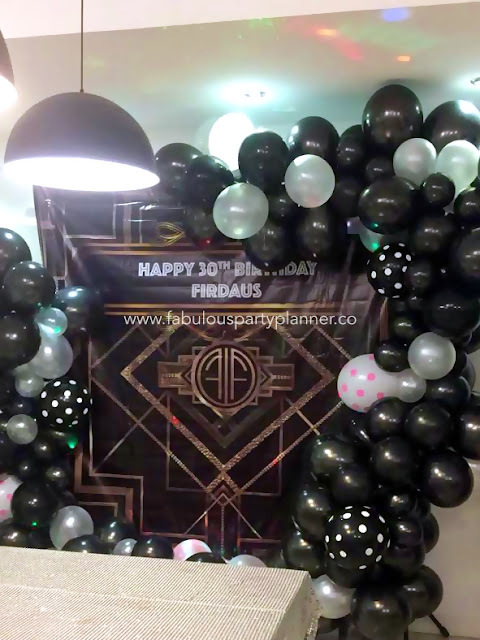 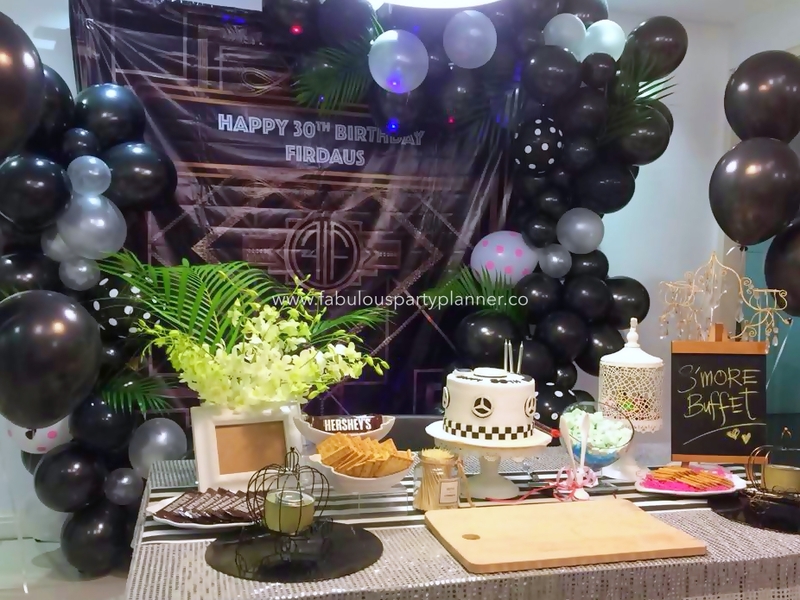 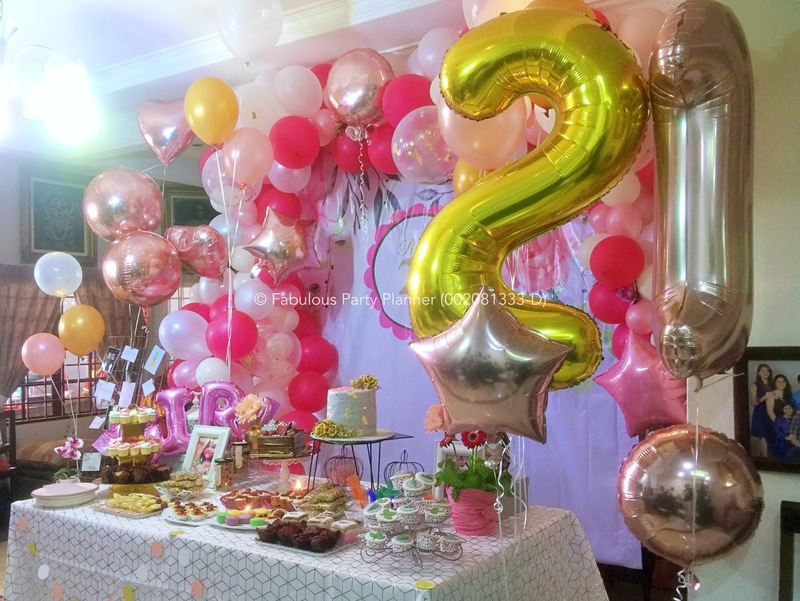 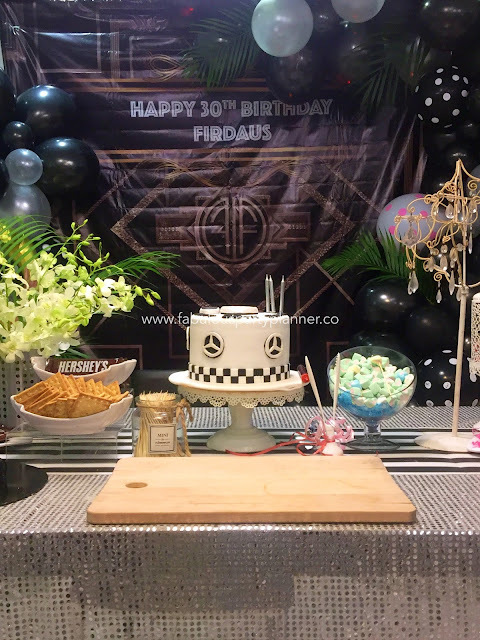 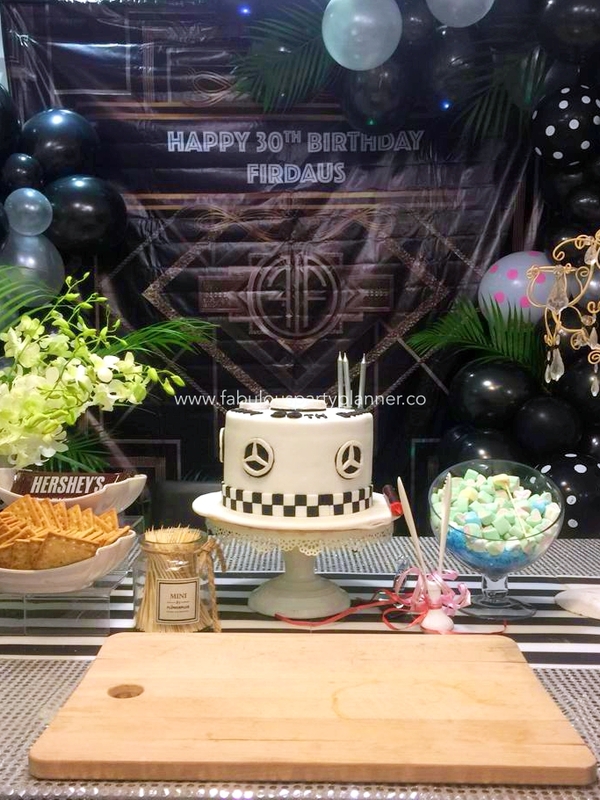 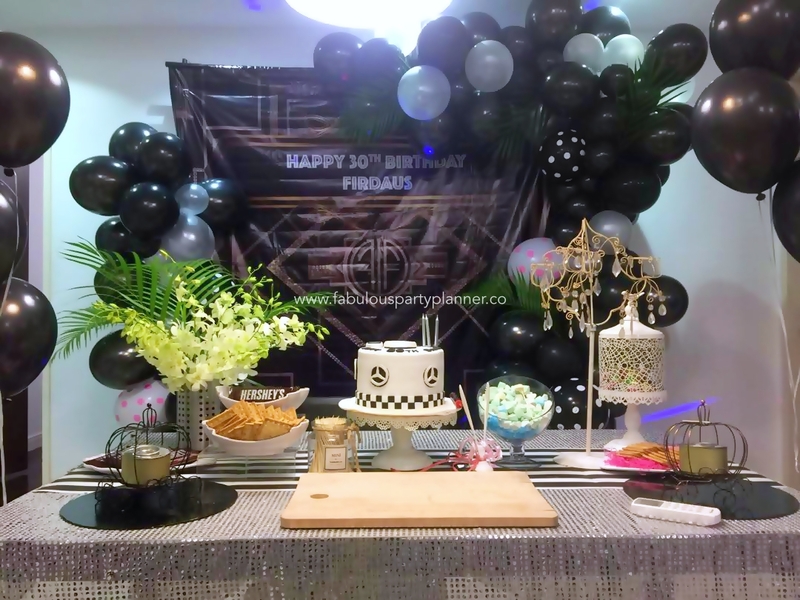 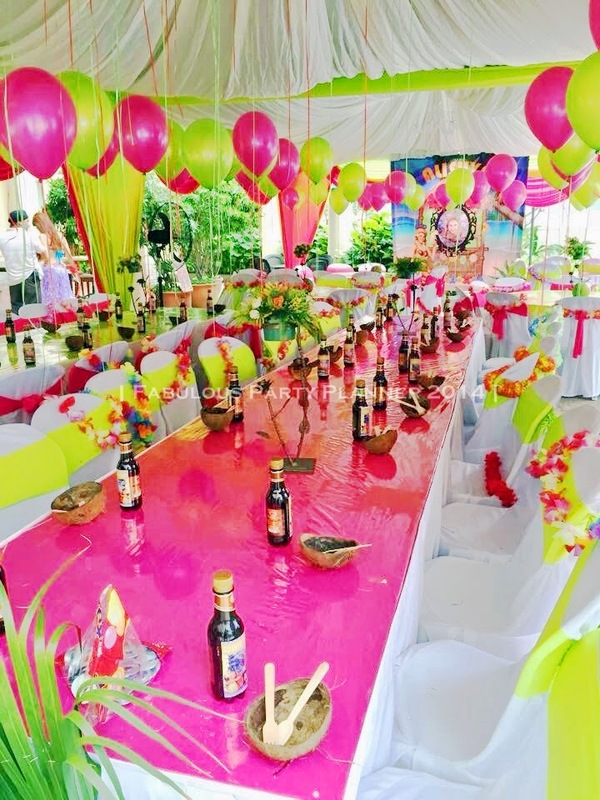 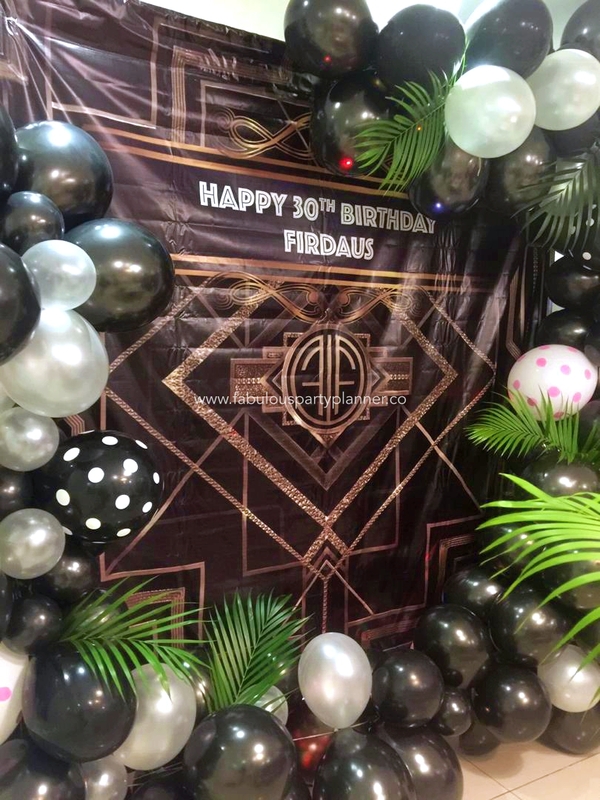 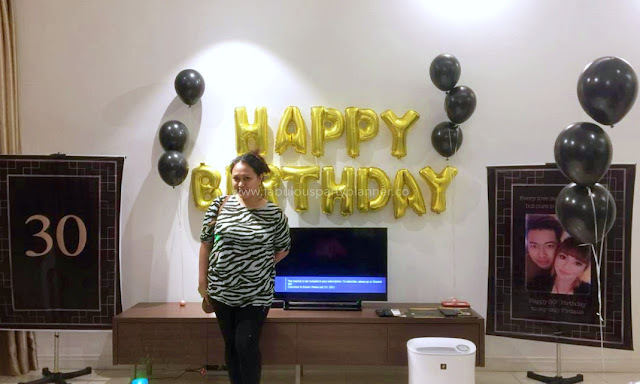 We were asked to prepare the balloon decoration in black and gold theme, a birthday backdrop, the birthday cake and also some midnight snack for their guests. 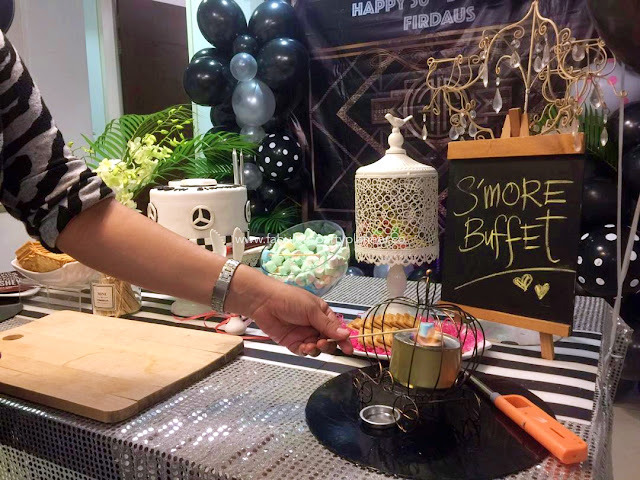 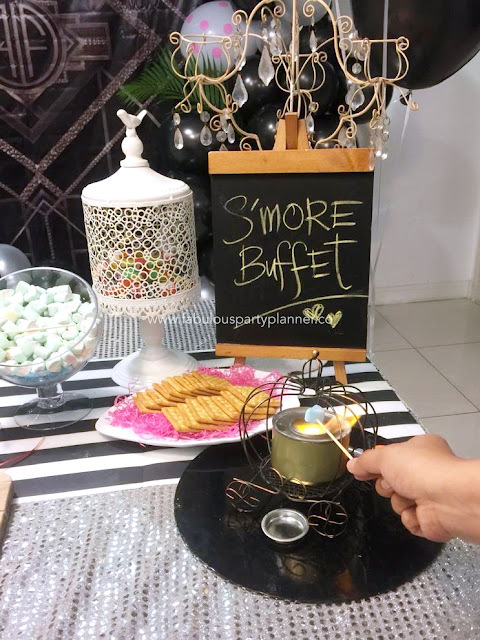 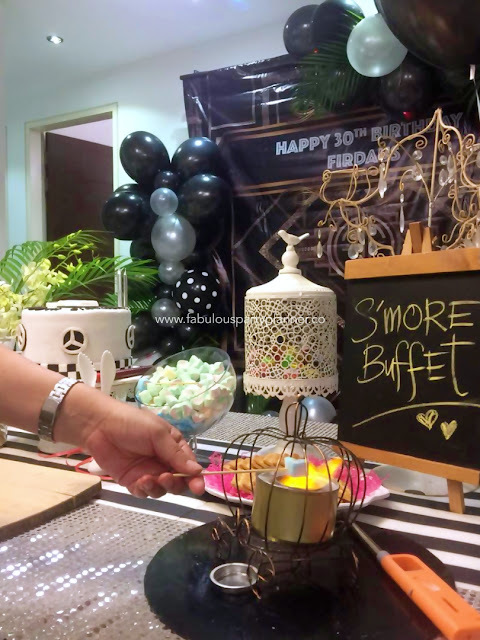 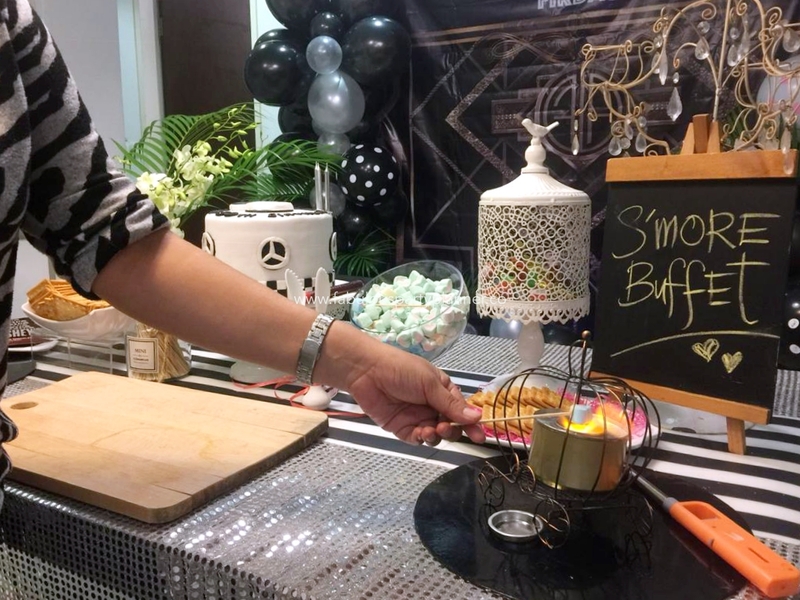 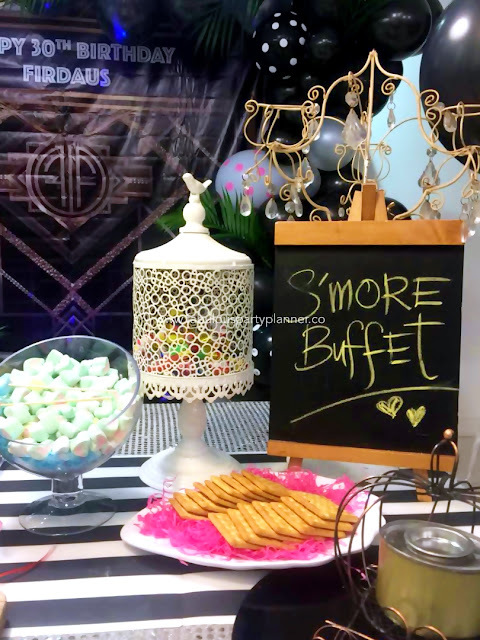 Since they are just having a few closest friends and relatives for the celebration, we proposed for a S'more Buffet rather than candy buffet, which they can enjoy burning marshmallows to be eaten with plain crackers and chocolate bar as midnight snack together. 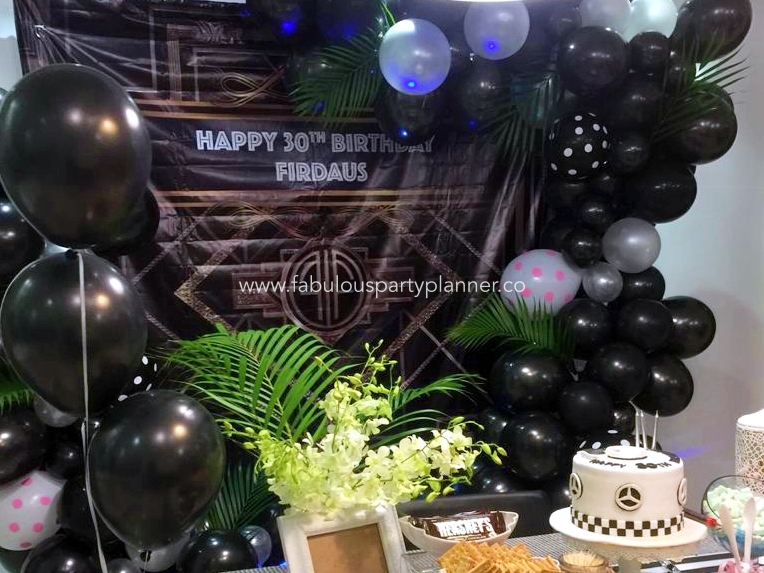 And a BMW birthday cake for an automotive business person. 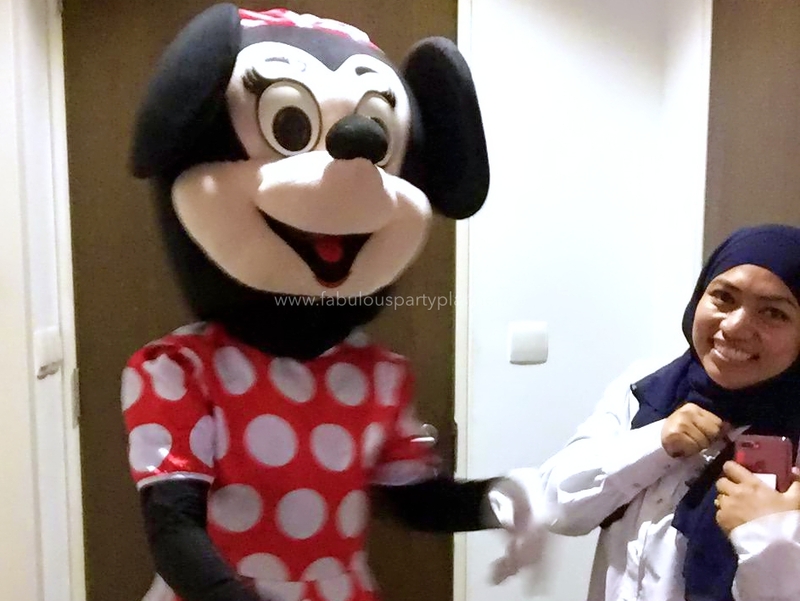 The lovely wife wanted some element of surprise for her husband so she requested for a Minnie Mouse mascot costume which she worn herself when the party was about to pop by 12 midnight. 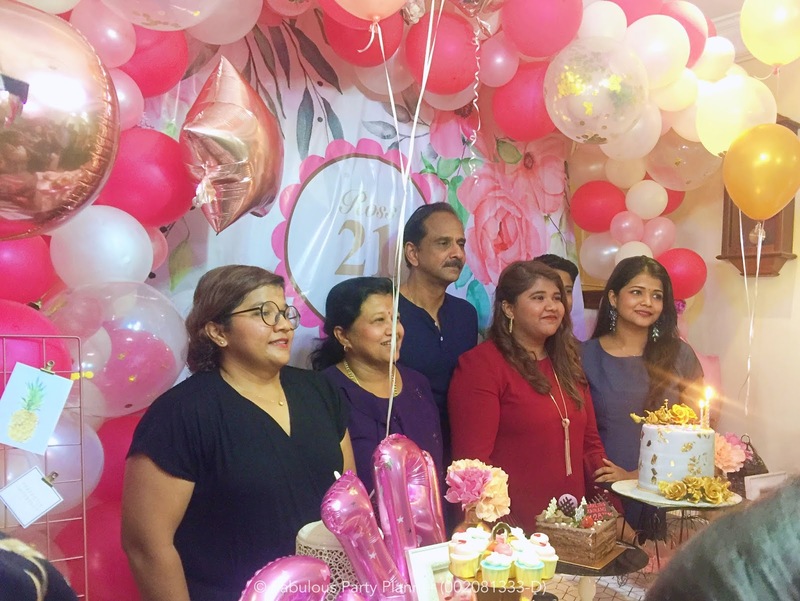 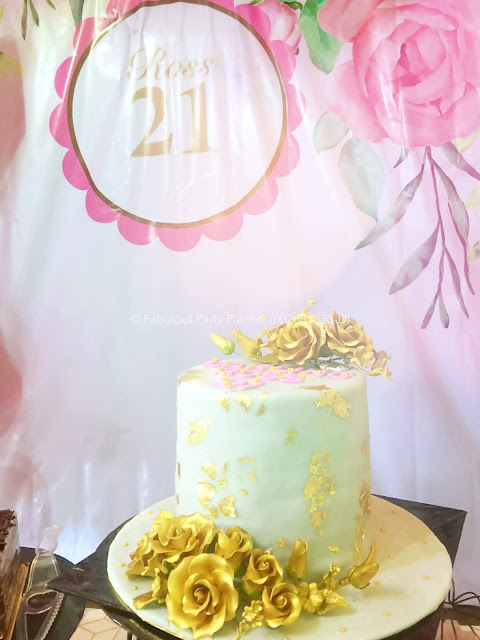 It was a birthday gift from an Aunty for her beloved niece's 21st Birthday celebration. 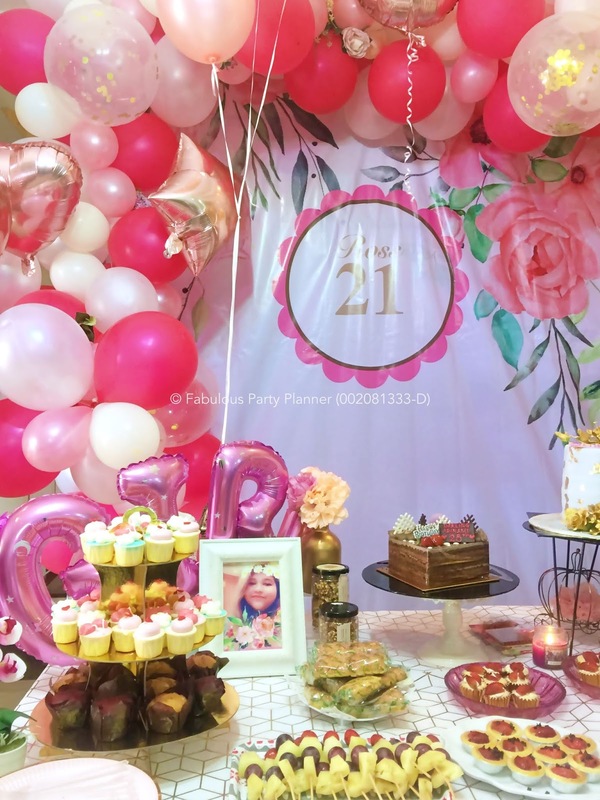 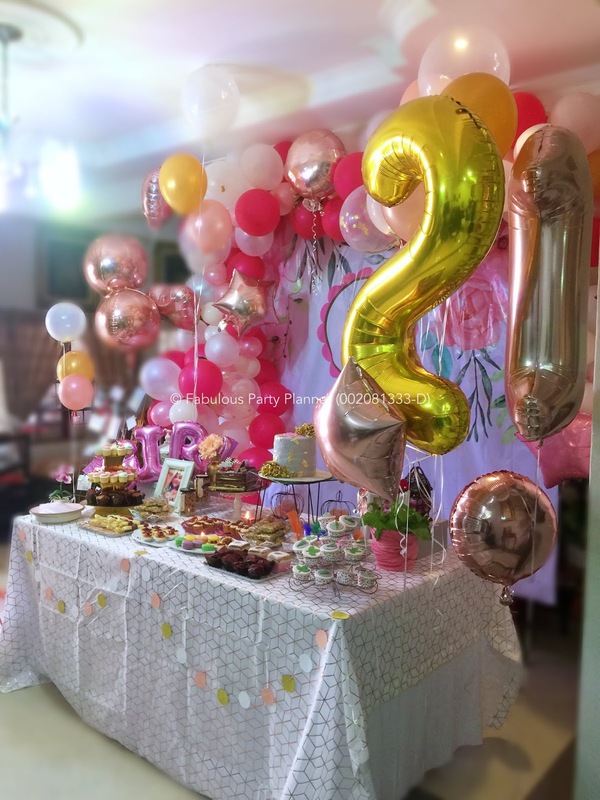 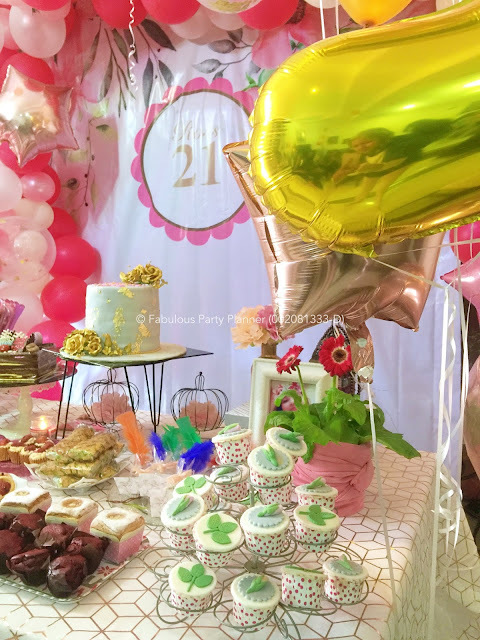 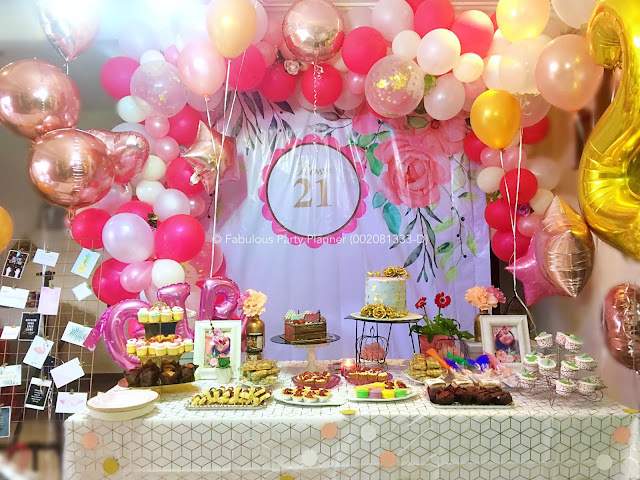 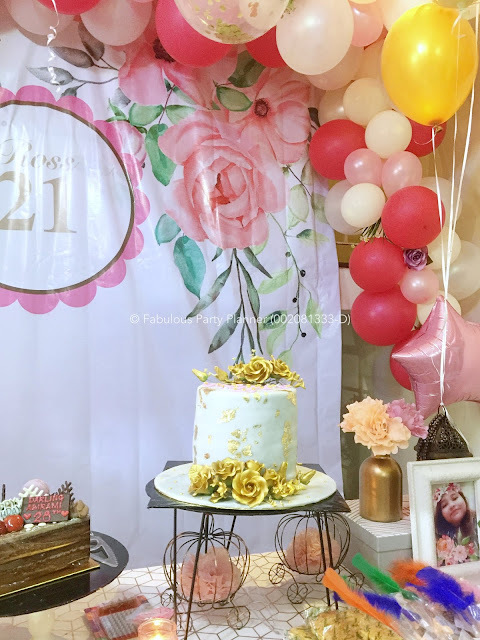 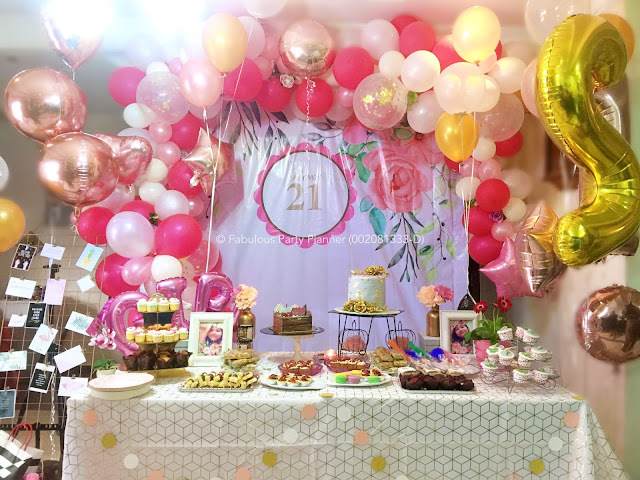 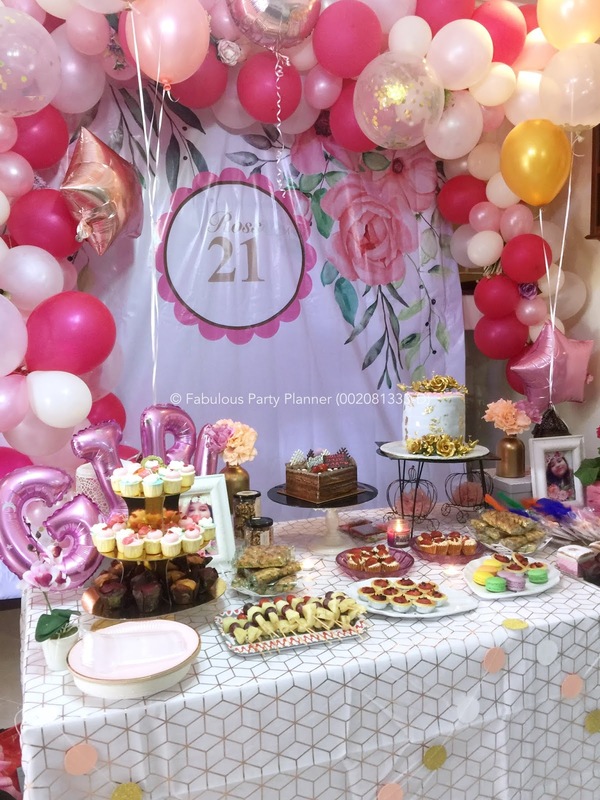 The birthday girl, Rosshini an Art & Design student requested for Rose Gold theme. 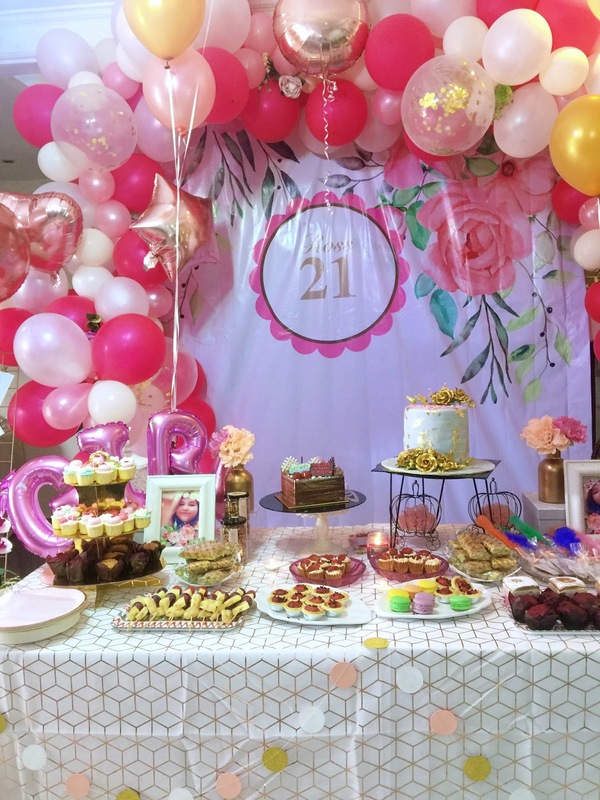 She chose to wear a complementary burgundy dress and it popped up really well with the theme she chose. 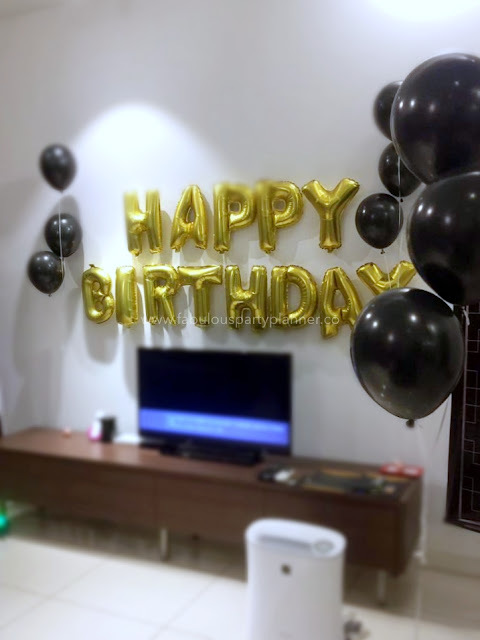 Though the living area of their house is a little bit small, we managed to cramp in our decorated cake cutting area but wished that the lighting was slightly brighter. 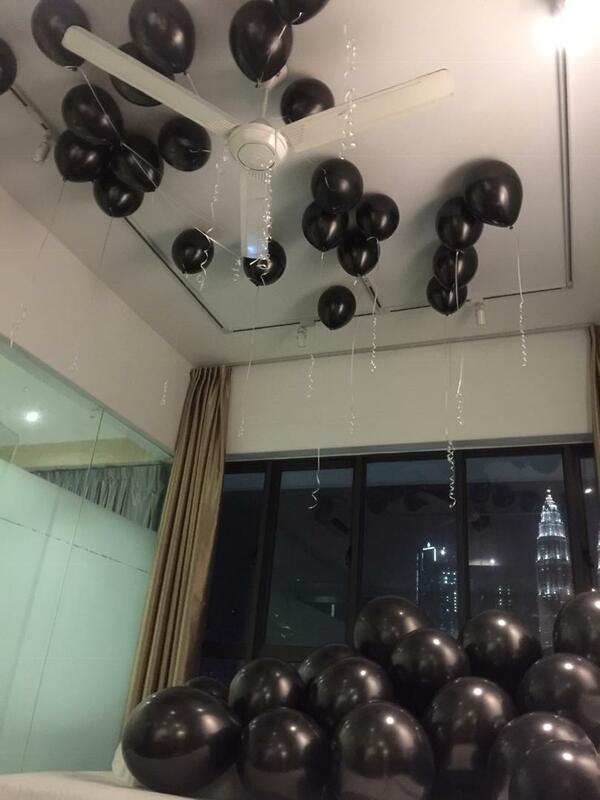 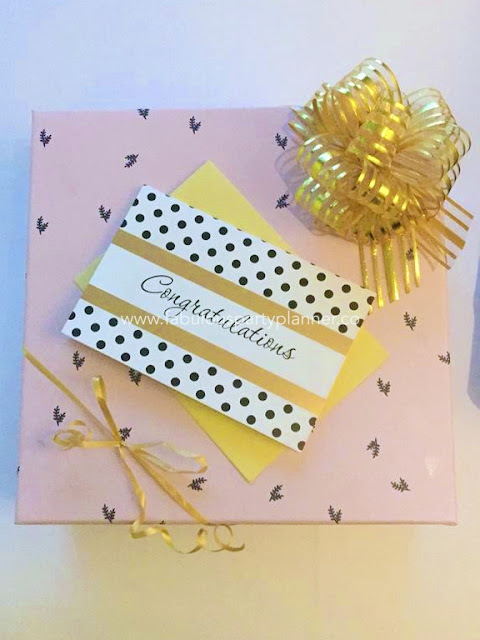 To Rosshini, good luck in your academic years ahead and glad that you like the decoration from us. 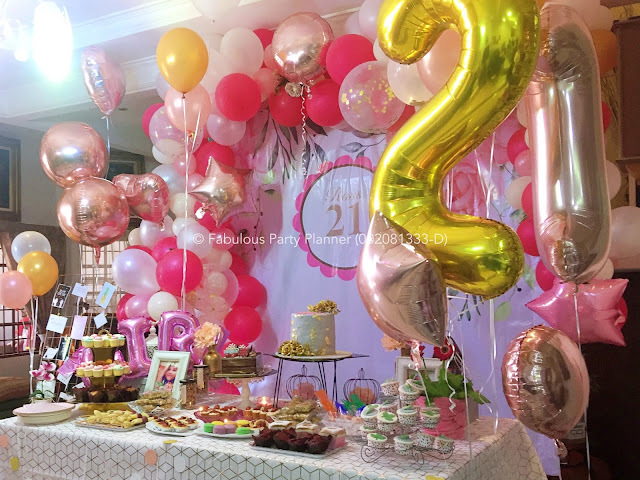 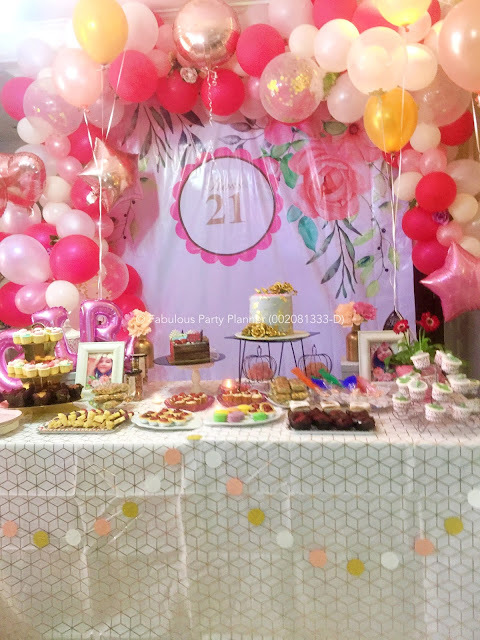 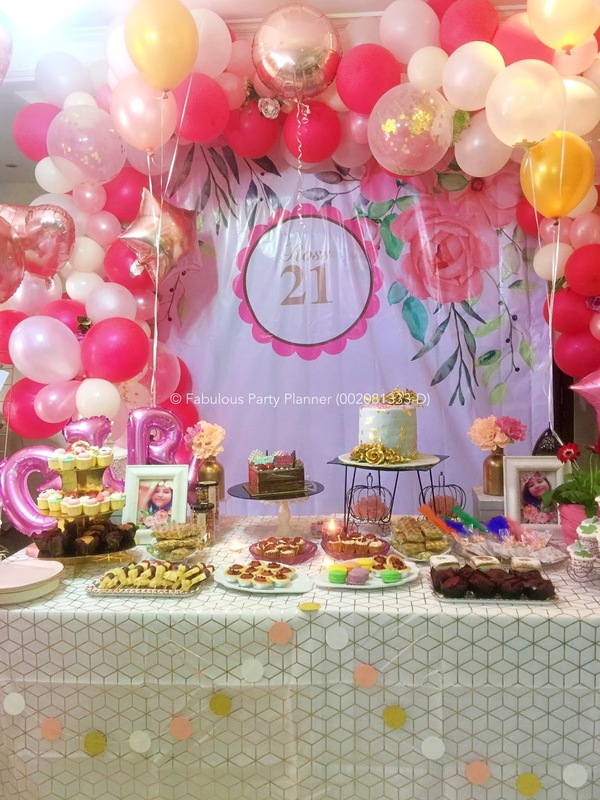 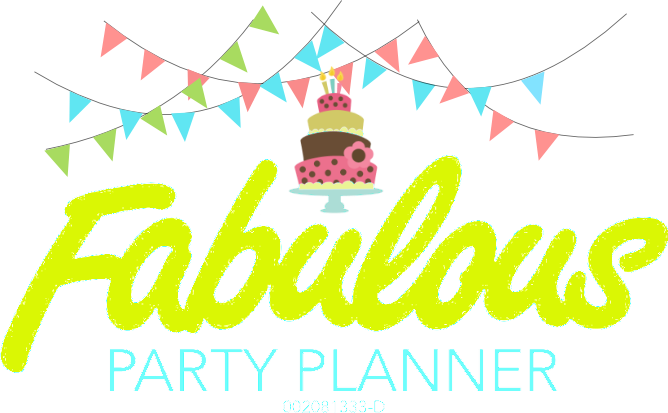 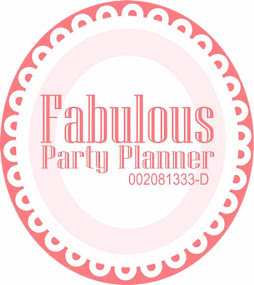 For bookings and inquiries pertaining to our party packages, kindly email hafissa@fabulouspartyplanner.co OR WhatsApp us at 016-9507910.